If you saw my last post, you’ll know that I spent my 21st birthday in London, which is something that I really wanted to do this year as I don’t really celebrate birthdays anymore but I was desperate for another trip to London so I used this as an excuse to go. My parents paid for the whole thing so it was their main gift to me, along with quite a lot of other gifts, I was totally spoilt! Another present that my mum & dad got me was this beautiful cake that one of their friends made for me. I actually designed the cake myself, I found parts of other cakes that I liked and asked for them to be put together to create this look, but the woman who made the cake is amazingly talented, it turned out so much better than I imagined! 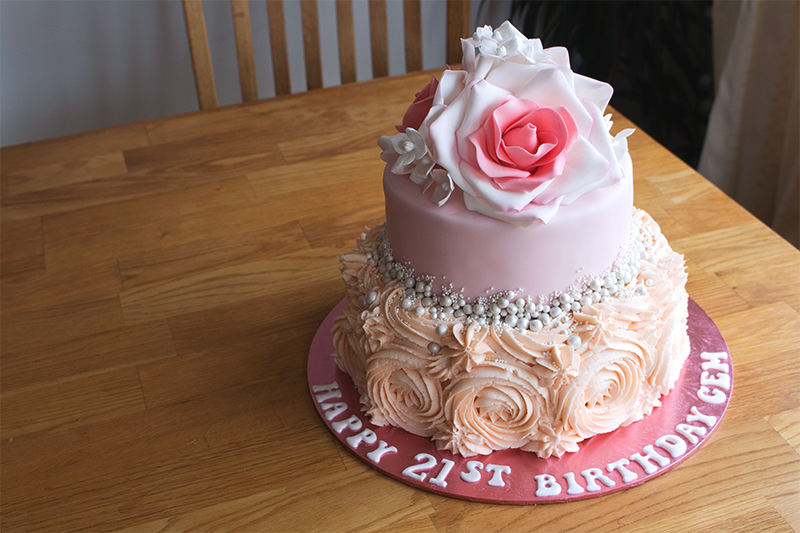 The roses on the top are made from icing, how fantastic are they?! The colouring and the detail on the cake was absolutely incredible and I couldn’t have been happier with how it turned out, it also tasted amazing too. The bottom tier was vanilla sponge & butter icing, and the top tier was chocolate sponge with fondant icing, both tasted gorgeous. I also had a glass of champagne with my slice! 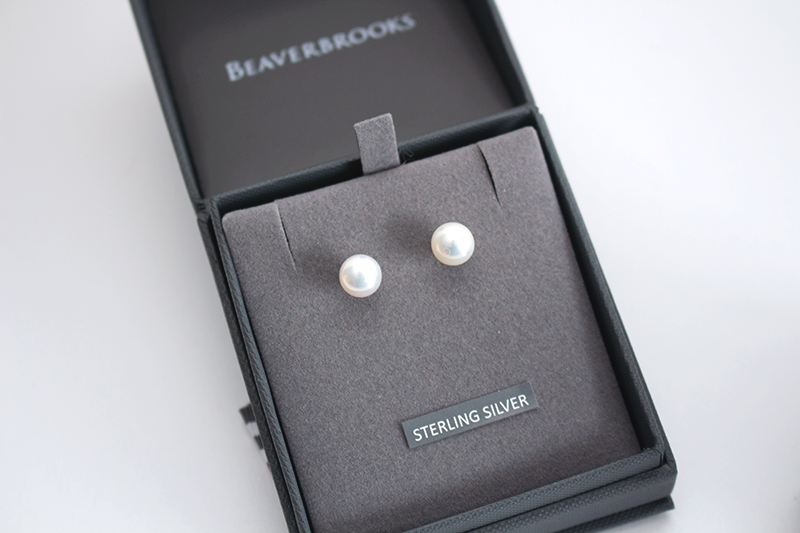 I got two pairs of earrings as gifts, the first pair are pearls, as I’m a June baby so my birthstone is a pearl and these were given to me by my uncle and his girlfriend. 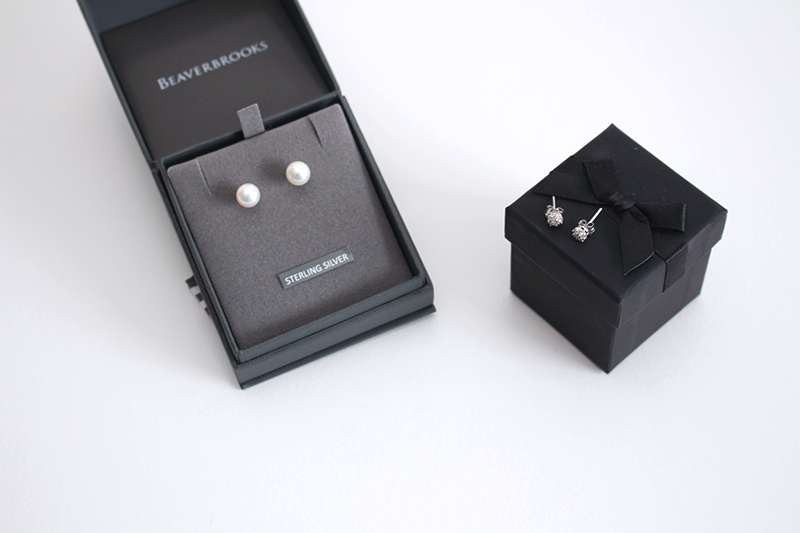 I’m a real stud earring kinda girl and pearls are one of my favourites to wear so these are perfect! 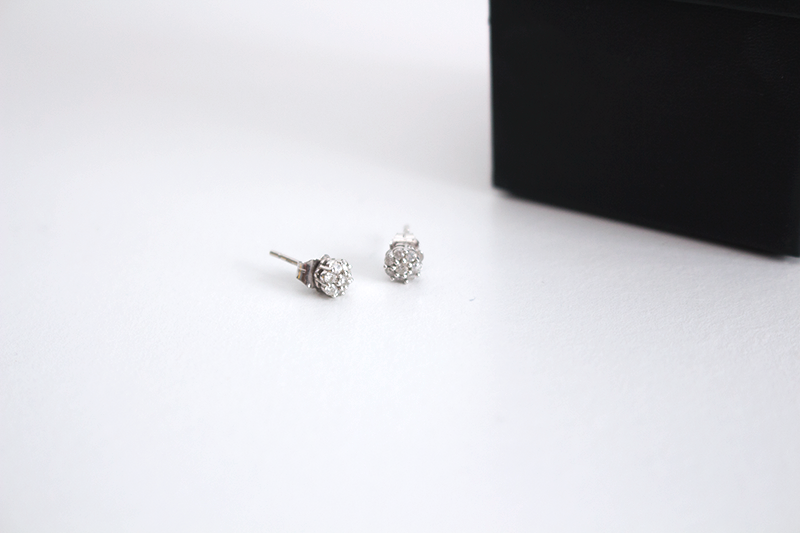 The second pair were another gift given to me by my mum and dad, and these are real diamond earrings as my mum wanted me to have a keepsake from my 21st birthday. She knows that I love studs so she got me these cute little flowers and I absolutely love them. I wore them whilst in London but as they’re so expensive, I’m scared that they might fall out or get lost, so I think I’ll save them for special occasions only! 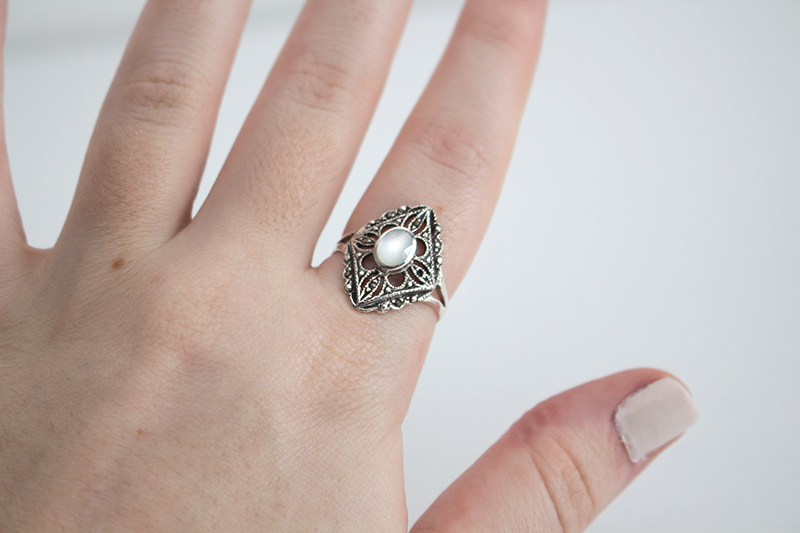 I also got given quite a bit of money and a Mac gift card for my birthday, from my gran, my auntie and my brothers & sisters, so whilst in London down Oxford Street, I popped into Accessorize looking for a new ring and saw this gorgeous one with a pearl in the middle. I had to have it as it’s so so pretty, I think it cost around £12. I also got a couple of things from the Mac counter in Selfridges, as well as using my Mac gift card at the actual Mac shop in Covent Garden. Altogether, I got these 6 items, three loose pigments, two eyeshadows for my 15 pan palette (it’s almost full, only 2 to go!) and the mac lip prep & prime. 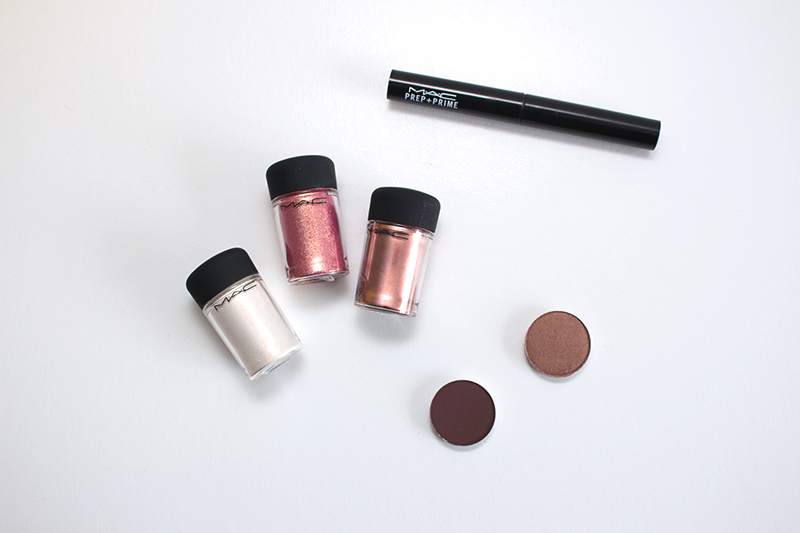 The three Mac loose pigments I got were Vanilla, Rose & Copper (L-R). I’ve been wanting some loose pigments for a while, they’re so much more glittery than eyeshadows and I love that for a pop of colour on the lid. I really wanted vanilla as it’s a great highlight shade for the inner corners of the eyes, as well as being quite versatile as it can be used as a highlight for the face. Another shade that took my fancy was Rose, I was googling Mac swatches looking for a rose gold eyeshadow and then I saw a swatch of this pigment and I thought it was so gorgeous. It’s a pink shade with gold glitter specks in it so it has that real rose gold effect and it’s just so pretty, I also saw it being used as glitter on the lips which looked really cute, so I can’t wait to play around with it. My last choice was going to be the Chocolate Brown pigment, but when I went into the Mac store in Covent Garden, I saw this Copper shade and decided that I liked this loads more, it’s a really lovely shimmery shade that would look so pretty used for a smokey eye! The two shadows that I got for my Mac palette were Embark and Mulch (L-R), I’d been wanting a dark brown for a while as I like creating a smokey brown eye as a day to day look, but the brown I already have wasn’t doing the job, so I picked up this. The other colour that I’ve had my eye on was Mulch, this is just a really pretty shimmery brown that’s quite bronzey which I like. These two make really pretty additions to the shades I already have in my Mac palette, I keep meaning to do a post on it but I feel like it needs to be full first and I only have two to go so hopefully it won’t be long! I had to include this mug into the post which my sister got me, because it’s so so pretty. I saw this online a while back but I never bought it, and she remembered that I liked it and ordered it for me for my birthday, she’s so cute. 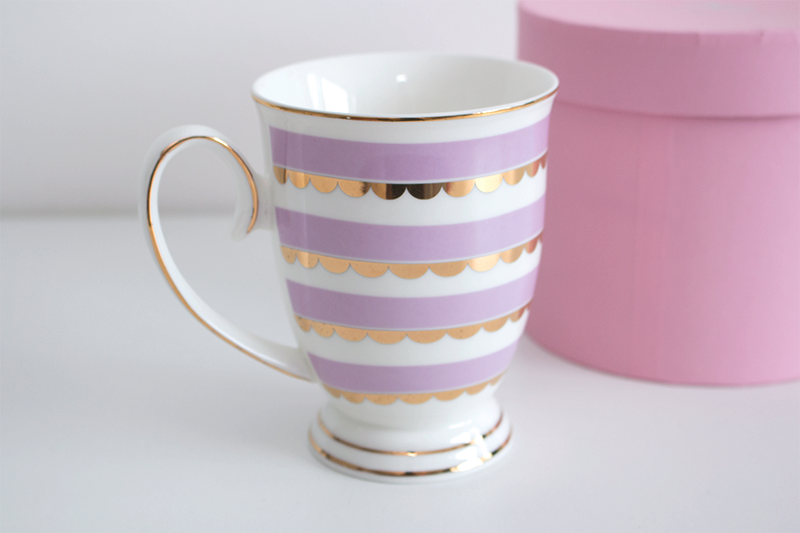 This is definitely a pinterest worthy mug, it’s so gorgeous! I also got a lot of other bits and bobs from my family and my friends like lots of chocolates and mugs and other things that I haven’t included in the post (most of the chocolate has been eaten) and I also haven’t spent all of my birthday money yet so I ordered myself a couple of treats including the Estee Lauder Double Wear Foundation, so you’ll see a review on that as well as the other stuff I’ve ordered soon!